Flaunt a wonderful blend of sophistication and style as you adorn this classy pair of diamond earrings. Its design features two vertical bar frames, one placed slight above the other for a visually alluring look. Both the bars are embellished with lab grown diamonds that shine away endlessly. These enticing, eco-friendly gems have been prong set within the entire frame and draw attention without any effort. 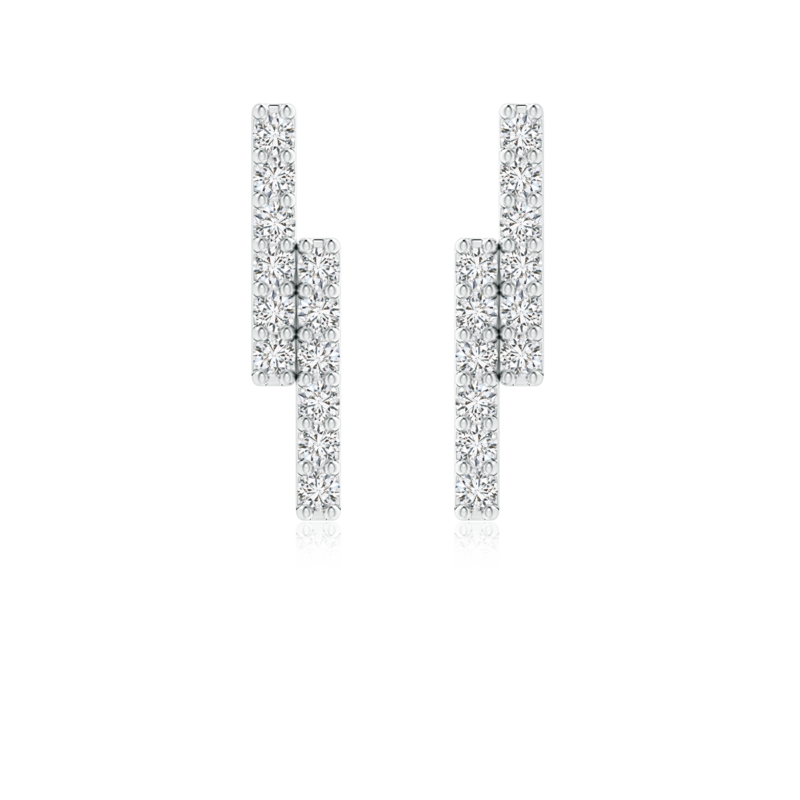 Crafted in 14k white gold, the asymmetrical style of this pair of diamond earrings is sure to win admiration.